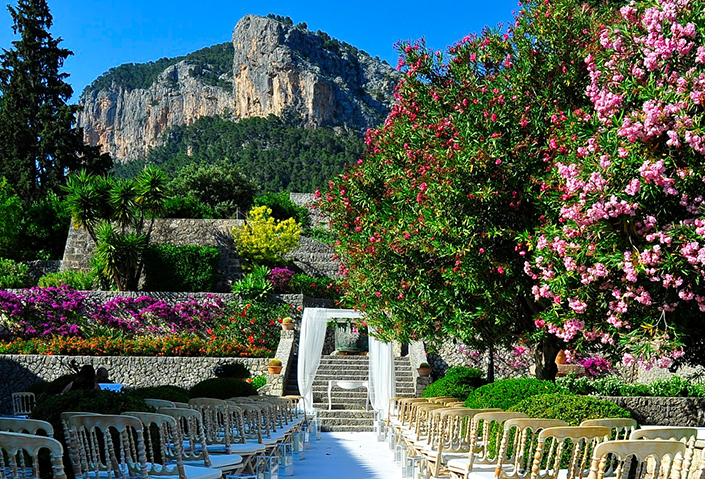 One of the most popular of the Balearic isles, Mallorca (also known as Majorca) provides a stunningly picturesque setting in which to say ‘I do’. 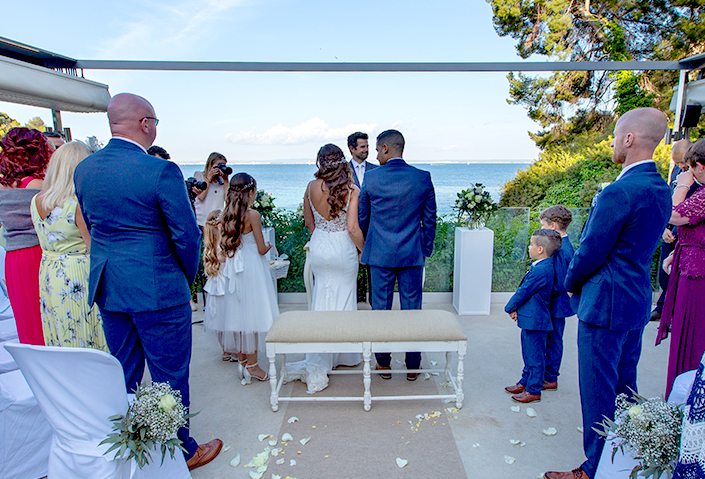 Known for its luxury beach resorts, turquoise crystal-clear bays, limestone mountains and nightlife, Mallorca is the perfect place for your destination wedding. 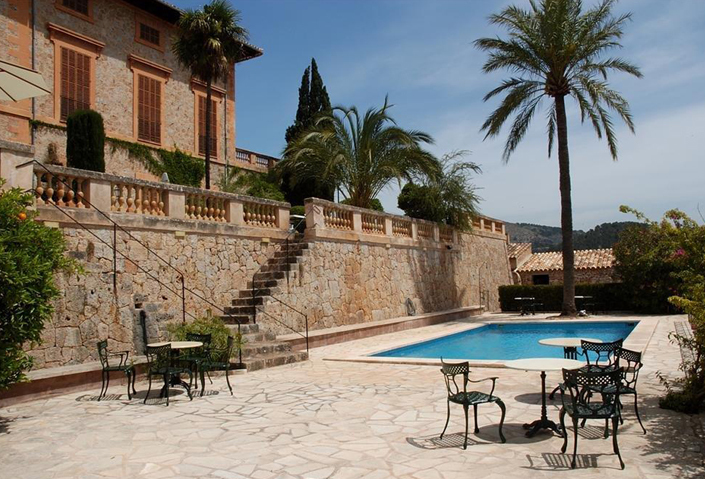 What are the venues like in Mallorca? 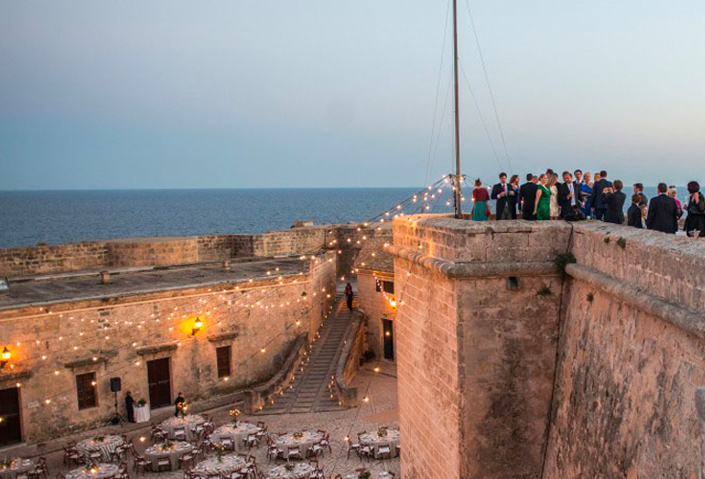 There is no such thing as a ‘typical’ Mallorcan wedding location. Our venues are all of the highest quality, filled with authentic touches that will make your wedding stand out from all the rest. 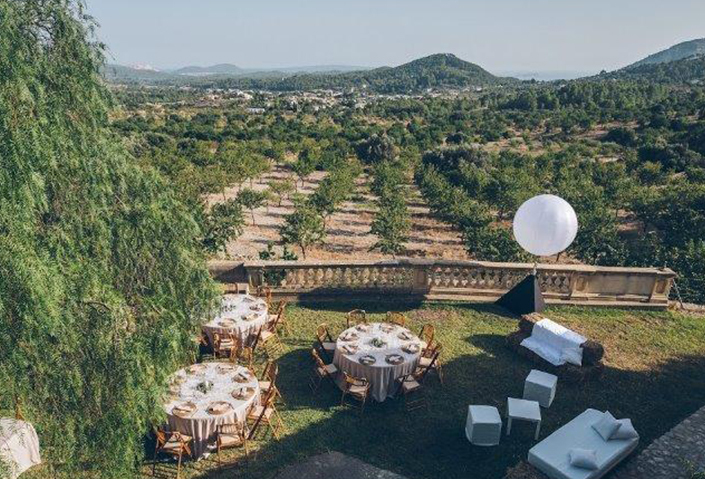 From rustic farmhouse estates and converted mills, to sumptuous wedding fincas and the very best in five star hotels, Mallorca has a vast array of venues from which to choose. Get in touch to receive our FREE wedding venue guide and click here to take a look at some of our favourite and most popular locations in the area! How do the different areas on the island vary? 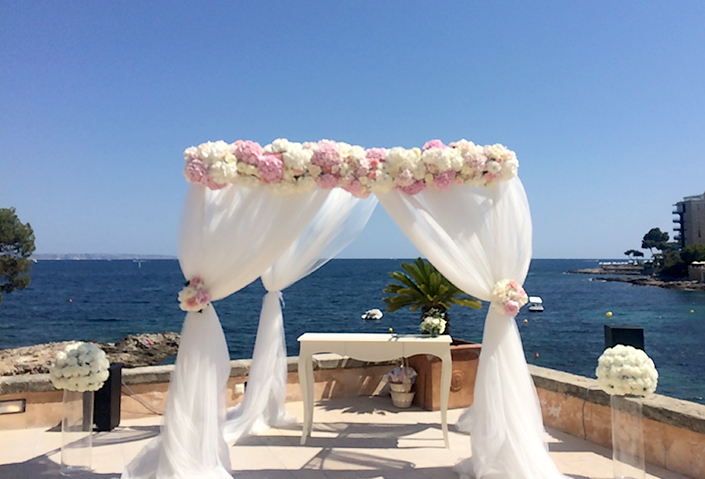 One of the joys of getting married in Mallorca, is that each area on the island is so different. 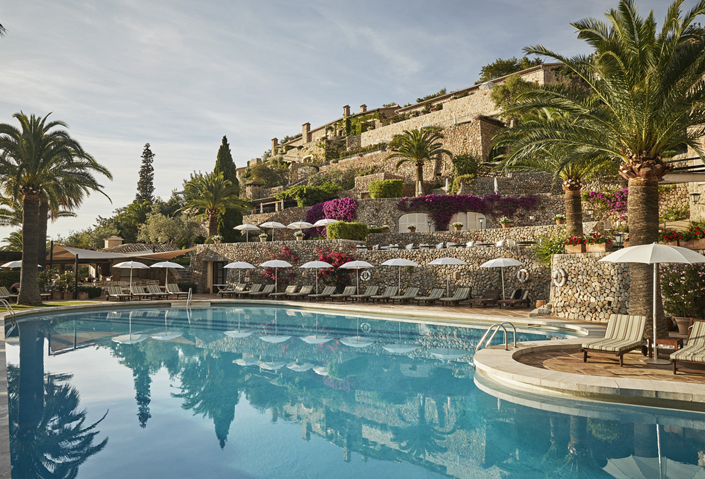 Whether you are a looking for a sea-view resort, country estate or something a little more quirky – Mallorca has it all. 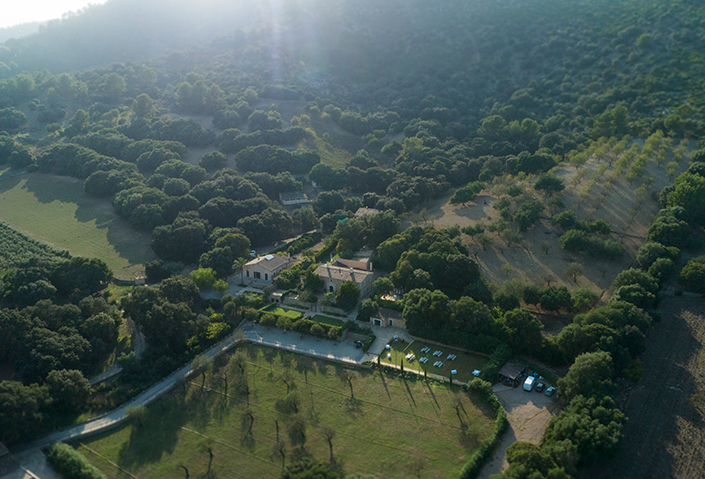 And being a relatively small island, you and your guests can easily explore the surrounding areas without being limited to the wedding location. 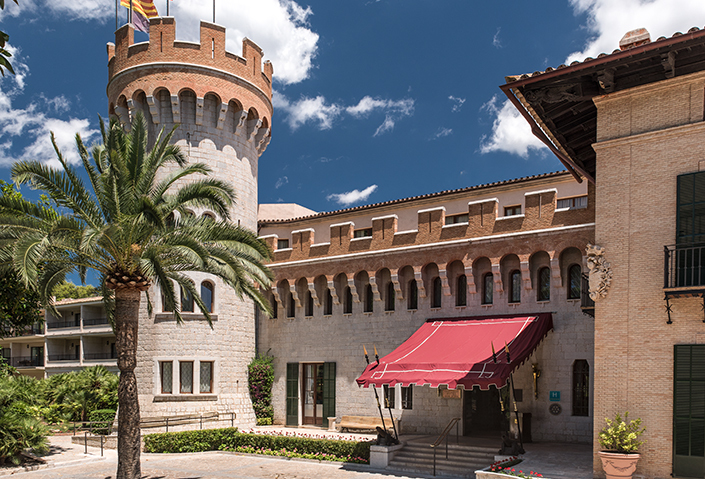 The capital city, Palma, is rich in history – which is evident as you meander through its winding streets lined with tantalising restaurants and bars. It’s 14th century castle and Arab baths are a striking reminder of its Roman and Moorish history, and the famous cathedral overlooks a pretty harbour. 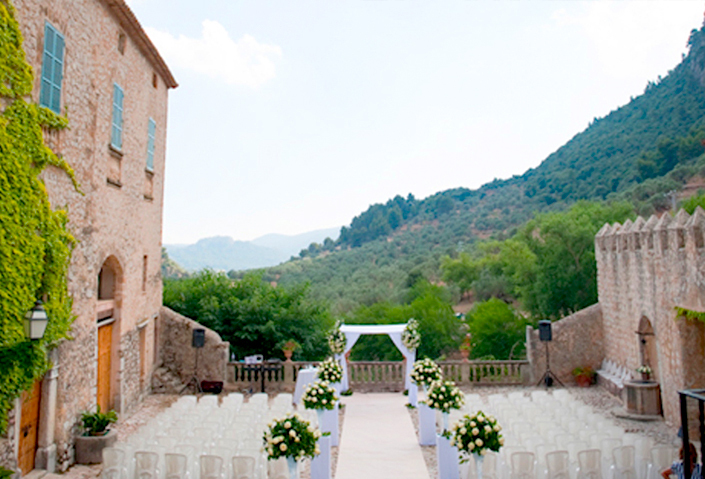 In short, its pretty winding streets and grand buildings make for a breathtaking backdrop for any wedding photo. 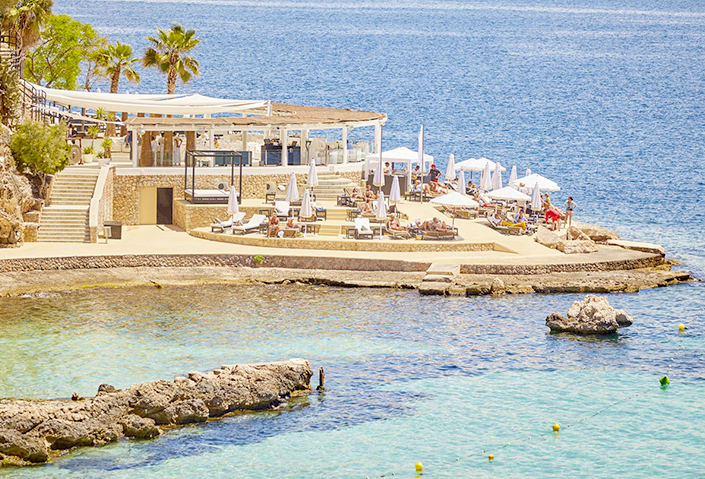 For a quieter and calmer location, the port towns of Santa Ponsa and Port d’Andratx offer luxury beach resorts and a colourful harbour backdrop. 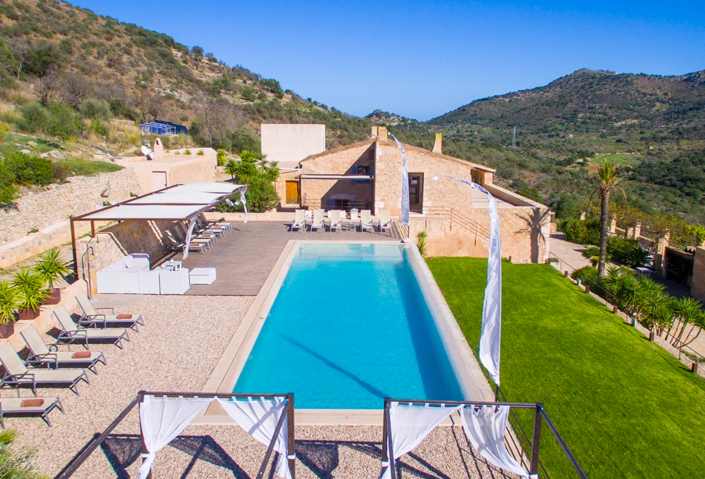 Alternatively, north of the island, is the UNESCO world heritage-listed Serra de Tramuntana where you will find beautiful lakes and vistas. 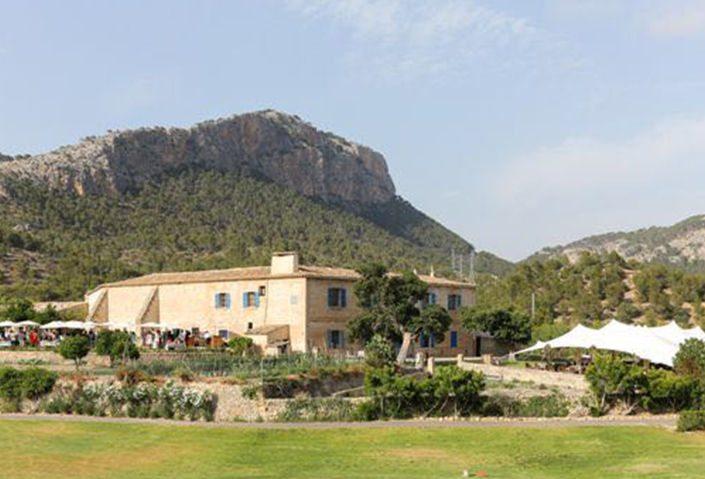 Or for an even better view of Mallorca, visit its highest peak Puig Major. 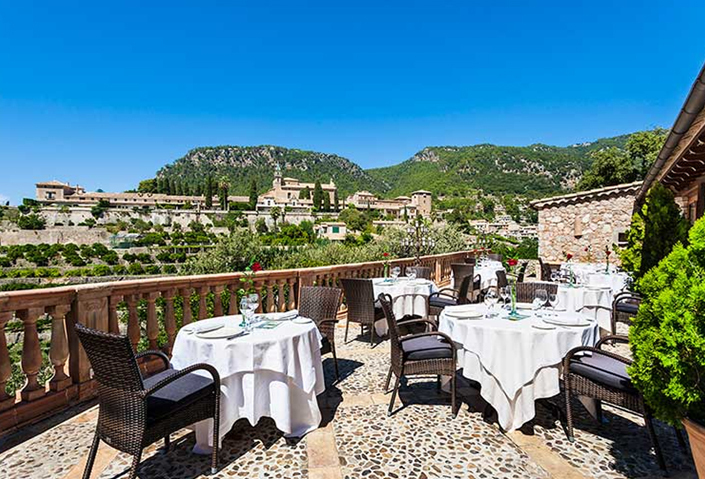 Why not ride the tram into Port de Soller and visit its stunning bay, or for families Alcudia and the neighbouring port of Pollenca are also great fun. 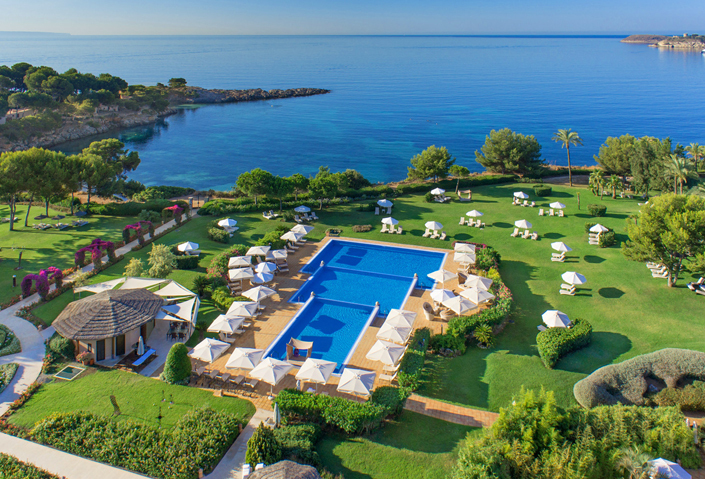 And finally, for golden sands and private little beaches, Cala Ratjada or Cala d’Or (Golden Cove) offers jade waters and rocky inlets. 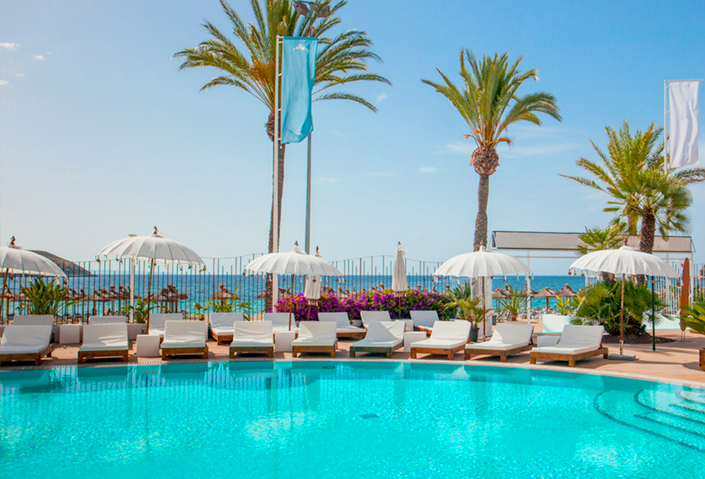 There is no shortage of perfect paradise locations for both sun-seekers and culture-lovers. 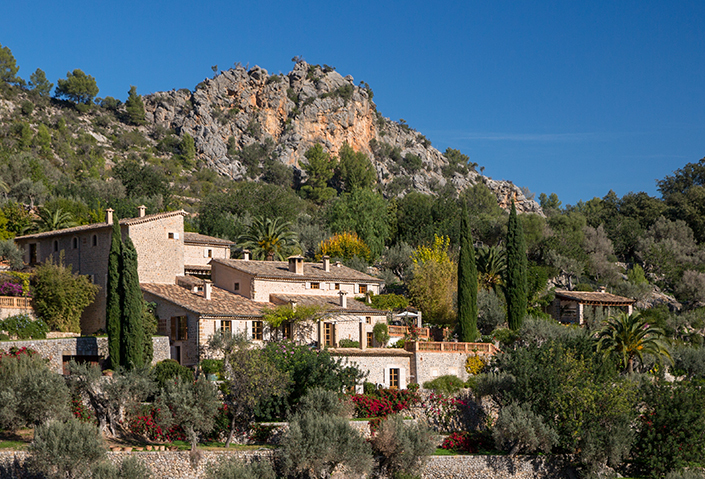 Unlike some parts of the Mediterranean, Mallorca doesn’t reach scorching hot temperatures in the summer. 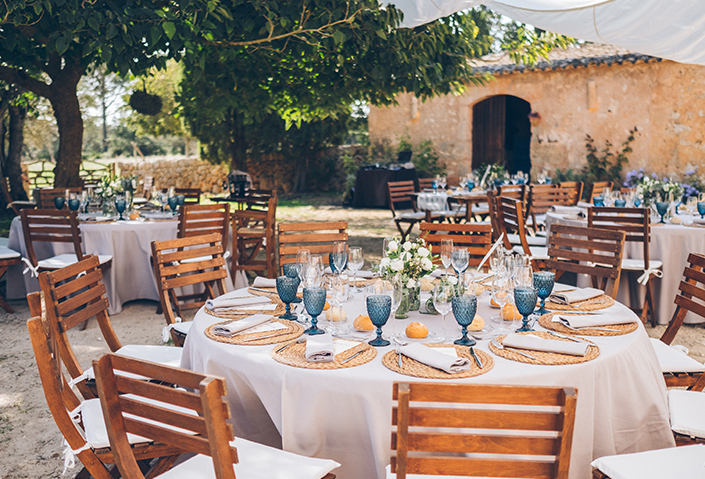 Wedding season in Mallorca is generally May to early October, where spring and autumn temperatures can reach a comfortable 20C – 23C, then in the height of summer you can expect to reach 28C – 32C. 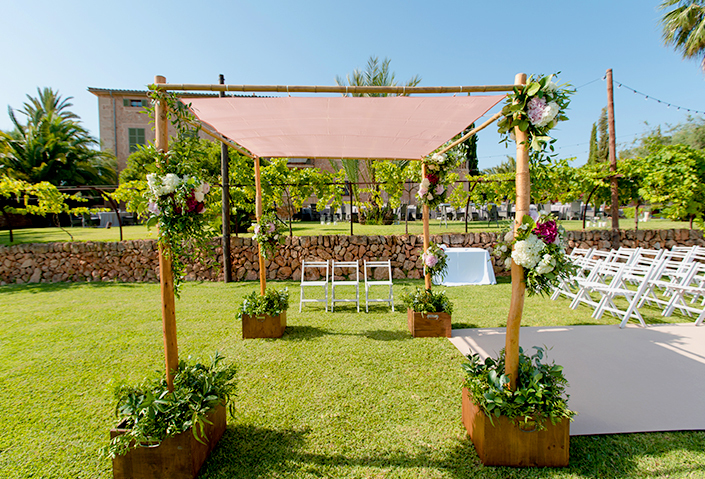 This perfect weather means that you can enjoy an outdoor wedding in Mallorca without being limited by stormy skies or the chance of cold in the summer. 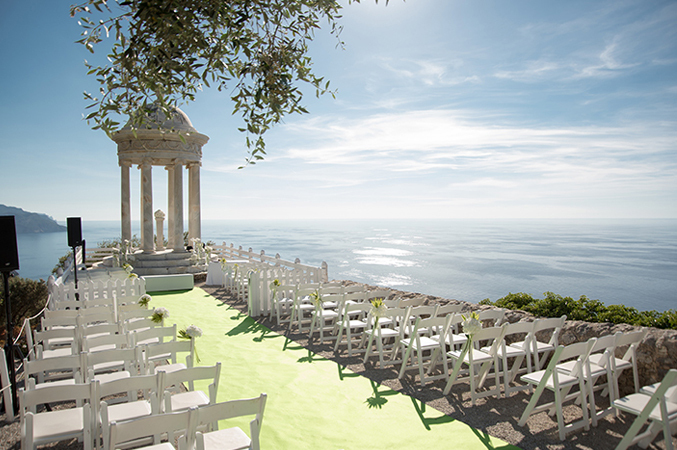 So even in mid-summer, you won’t need to avoid weddings in the daytime as the temperatures are never so hot to be unbearable for guests. 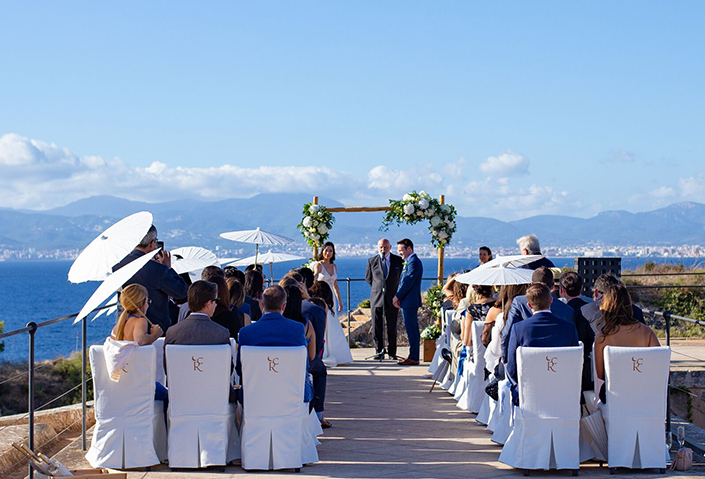 If you are interested in having a destination wedding in Mallorca, simply get in touch with a member of our planning team and we’ll contact you straight away. 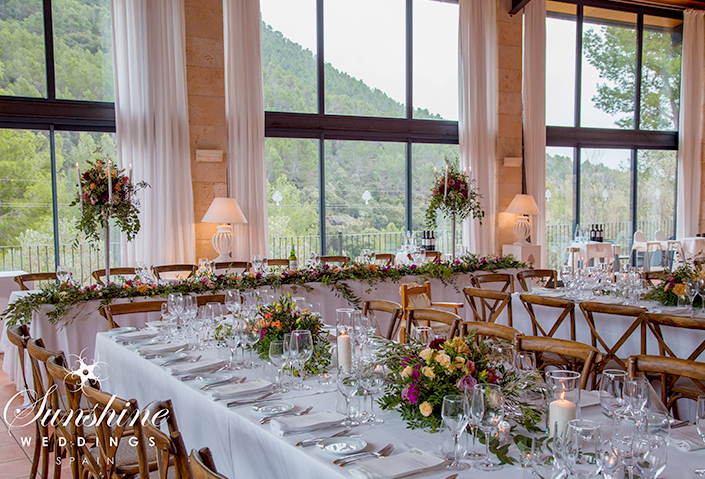 We can start working on your big day immediately, then when you’re ready to visit our offices in Mallorca your dedicated wedding planner will arrange a special tour where you will be shown the best of our wedding venues to meet your criteria. And remember, we don’t ask for a penny until a week before your big day. We want you to focus on the fun and excitement of planning your wedding – without having to worry about down payments or deposits. 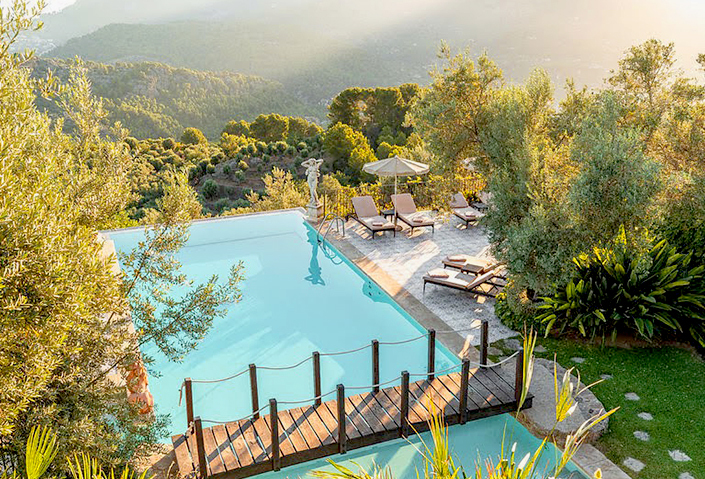 Mallorca is one of Spain’s most splendid islands filled with charm, history, locally sourced food and drink and plenty of breathtaking locations. 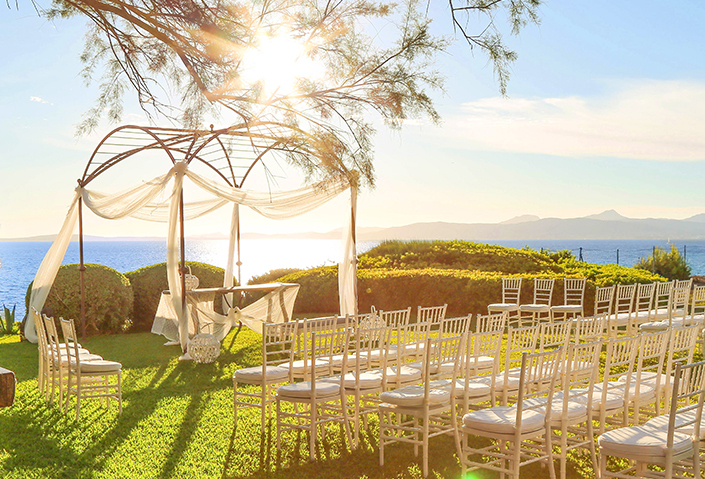 Everything you need for your destination wedding in the sun! Wow what can I say, we have just returned from a the most amazing wedding we could ever of imagined. 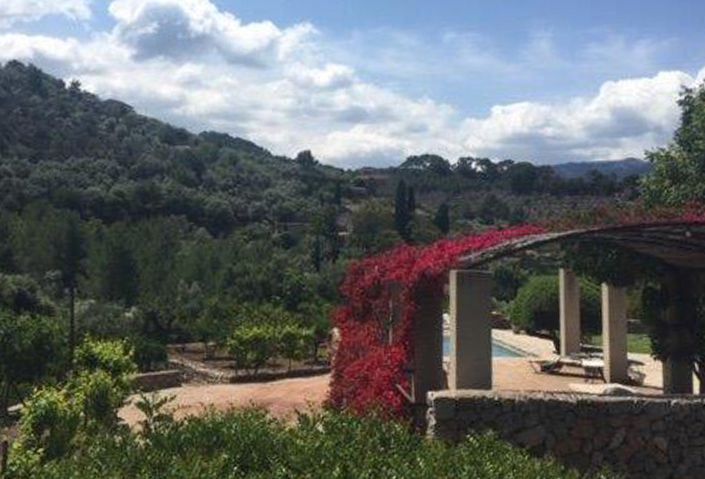 From the very first time we met Scott we knew he was the one to plan our wedding, we knew what we wanted and Scott showed us to the most amazing villa near to were we wanted to get married. Scott’s team are a real asset to him and helped us arrange meetings with florists, cakes, catering while we were in Spain. Raquel took us for our tasting and helped us create our perfect wedding meal, she was on hand and helped with the smooth running of the day, she was an absolute star. Thank you to the whole Sunshine Weddings team! These couple of days at the San Jose hacienda has been more than we ever wished for. It was truly a magical weddingday and everyone had the best time. The Suneshine weddings team did an amazing job with everything. Thank you again!